Flat, graceless top positioned for various routes. While Tonduff is a flat boggy summit it is useful because it can be incorporated into various longer walks. 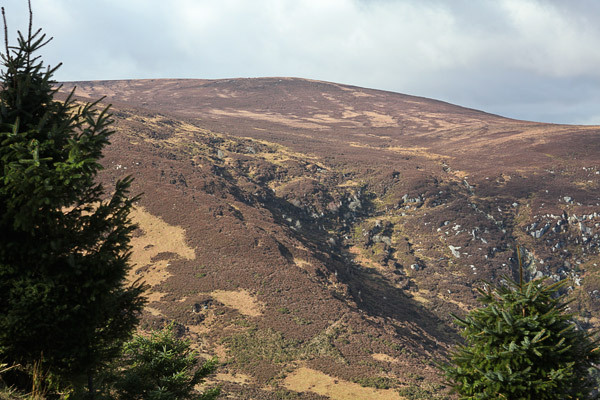 It's east side and the east extending ridge it has towards Maulin are steep when facing north in places. Two obvious approaches to Tonduff are from the east and the west respectively. From the west park in the Crone Wood carpark O1920 1417 A and walk on forest tracks to O 181 141 Bfrom then up a shoulder SW to the summit.